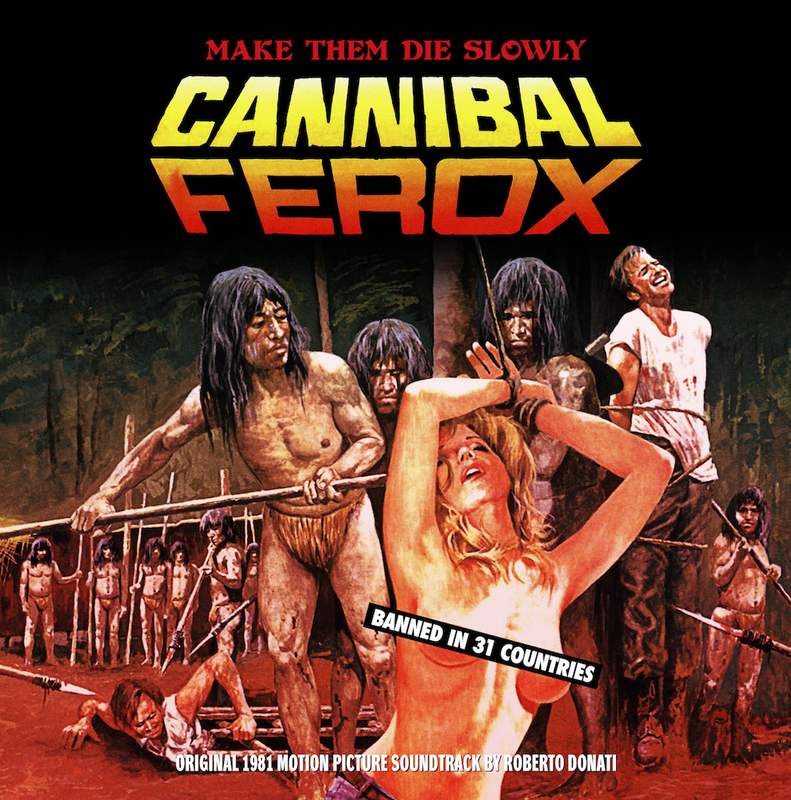 As I sit here writing up this post, my house is filled with the soothing sounds of Roberto Donati’s soundtrack to the insanely gory 1981 Italian horror flick Cannibal Ferox, a.k.a. Make Them Die Slowly. It’s the latest vinyl offering from One Way Static Records, one of the leading companies in the recent resurgence of cult/horror soundtracks on the thought-to-be dead format. Housed inside of packaging adorned with garish, eye-catching artwork, the equally beautiful split-color record contains the original score plus additional bonus tracks, rounded out with exclusive liner note interviews with the cast and crew. The release is the perfect example of what makes the vinyl resurgence so awesome and desirable, as companies like One Way Static truly care about the movies we love, and the music that was as important as the iconic imagery. In the wake of the company’s announcement of their August 12th release of the original Phantom of the Opera motion picture soundtrack, I sat down with One Way Static Records owner Sebastiaan Putseys to talk all things vinyl, in an effort to learn more about his awesome company. Enjoy, fellow lovers of vinyl! HALLOWEEN LOVE: Take us back to the beginning; the One Way Static Records origin story, if you will. Why the decision to start a company dedicated to releasing horror movie soundtracks on vinyl? SEBASTIAAN PUTSEYS: Well, horror-movie-music has always been a passion of mine – passion is actually an understatement. It’s safe to say (like for many in the community) that it is my life. I’ve been involved in releasing records and doing labels for over 18 years so it was the logical thing to do for me… combining my passions into getting a soundtrack label off the ground. It was just a matter of time. HALLOWEEN LOVE: As soon as the vinyl format experienced an unexpected revival, so too did the market become somewhat flooded, by several companies doing similar things. How does your company differentiate itself, and do you find it challenging to stand apart from the pack? SEBASTIAAN PUTSEYS: Vinyl never went away really, it was always there, but indeed there is a strong boom happening lately with Record Store Day and all. A thing I can only applaud. What did explode was indeed the amount of companies doing specific niche soundtracks on vinyl. I started the company in 2012 and back then there were only a couple of these labels around, now they are popping up like mushrooms. That’s OK though, if they want to pursue their dream, why not? Some people might actually jump on the bandwagon but I doubt they will stick around after the dust has settled. We just do our thing you know, release what we like and how we like… we’re not watching the competition looking for what’s hot and what’s not. We just stick to our guns releasing high quality packaged goodies and we get good feedback for this from all over the world. HALLOWEEN LOVE: Why do you think that horror fans have been so voraciously consuming vinyl releases like the ones you and other companies have been putting out, in recent years? SEBASTIAAN PUTSEYS: Part of it must be credited to nostalgia in my opinion, like with the VHS revival that’s been going on. Most credit must be given to the format though. Vinyl is the ticket: great warm sound and jackets with big artworks. I mean, who wants to look at these beautiful artworks on his iPod an inch in size? Vinyl is a format you can hold in your hands and cherish. It’s not something you discard like a computer file, it’s something you collect and treasure… just like horror movies, t-shirts, etc. 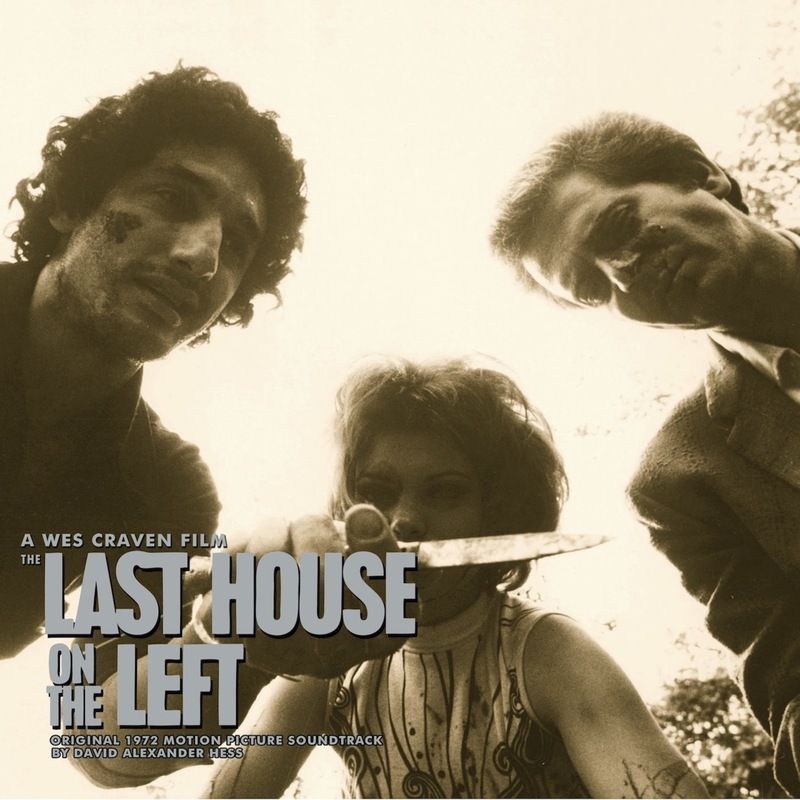 HALLOWEEN LOVE: To date, you’ve put out soundtracks for The Last House on the Left, The Hills Have Eyes and Cannibal Ferox. How do you decide which soundtracks you’re going to release? SEBASTIAAN PUTSEYS: It’s purely based on what we like. This ranges from big names to things you may never have heard of. We’re not looking for good sellers, we’re looking for good albums. We only release soundtracks we are 100% behind. Either the music is great or it has a historic importance. We release records we want to own ourselves and feel you should too. HALLOWEEN LOVE: Without spoiling future releases, do you care to list off any other films you’d love to someday give the same treatment to? Your favorite horror soundtracks, is I suppose what I’m asking for. SEBASTIAAN PUTSEYS: Haha… this list is as long as my arm. A lot of my favorites have been done either by us or by the competition but top of my list are Cannibal Holocaust (Riz Ortolani) & Salo (Ennio Morricone). Lots of genre compilations too and things I would have to start from scratch with… the ones that are not readily available are the most rewarding. 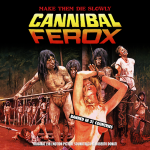 Some classics like Danger Diabolik and the original Texas Chainsaw Massacre would rock too. Sadly, for some of my top wants no audio masters exist, as they either have been lost or destroyed. But I keep dreaming! HALLOWEEN LOVE: One of the big draws for the current crop of vinyl releases is the cover art, which is oftentimes created by hired artists and tends to be very eye-catching. When it comes to your releases, you tend to use iconic and memorable images from the films, rather than newly commissioned art. Is that an approach you plan on sticking with, going forward? SEBASTIAAN PUTSEYS: 9 out of 10 times we go for classic album art/pictures. It’s just what I had in mind when I started OWS Records and we’re sticking to it but on rare occasions we will go for commissioned artworks. 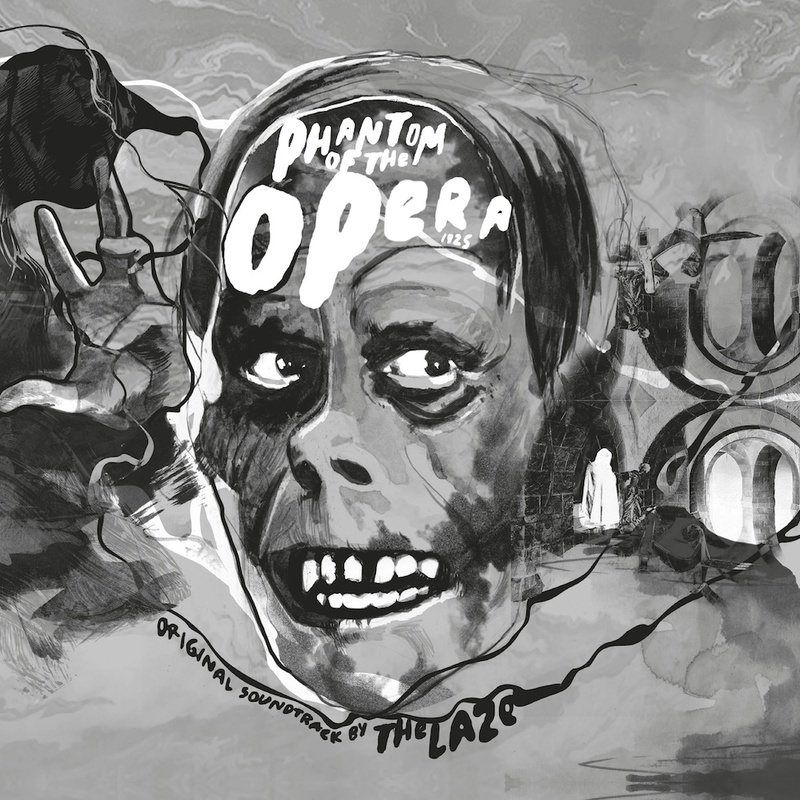 We just launched our next release (The Phantom Of The Opera) which has art by Luke Insect and Kenn Goodall (A Field in England, Death Waltz Records). There just wasn’t any decent original material available to work with since the movie dates from 1925 and those guys did an amazing job capturing our vision. HALLOWEEN LOVE: Being that you’re a vinyl connoisseur, I’d love to know what your favorite vinyl horror soundtrack release to date is, of course outside of the ones you yourself have put out. SEBASTIAAN PUTSEYS: Tough question. The soundtracks to The Beyond from Mondo and Maniac from Death Waltz are probably my favorites. The sound and packaging on those are off the charts, really jealous about those ones. For One Way Static, I must go with Last House On The Left. Took over a year to achieve and was really hard to get released but it was totally worth it. 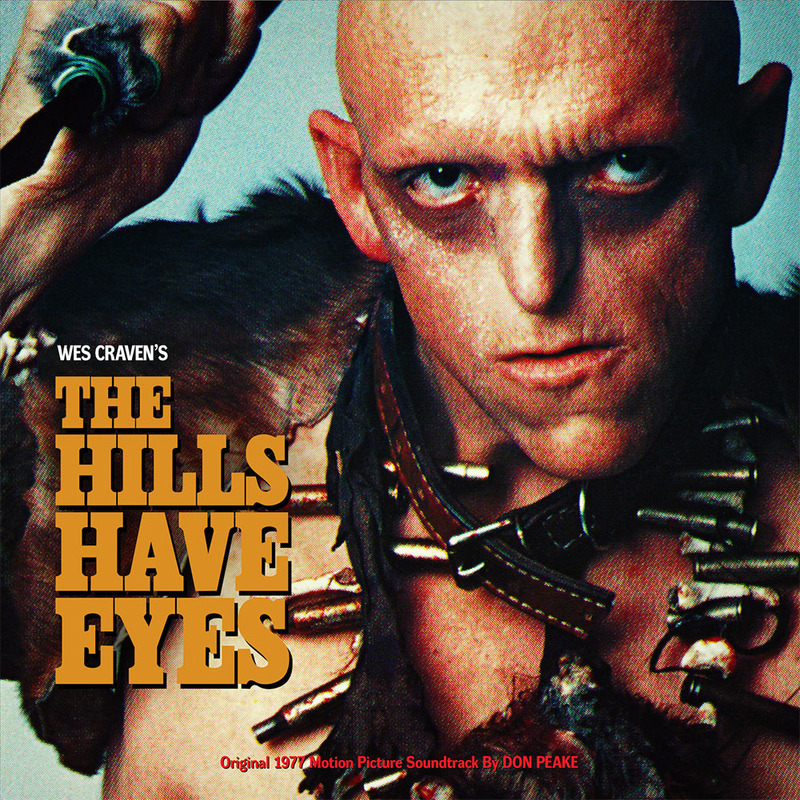 The songs David Hess composed for this film… man that’s the definition of iconic. Last House is our proudest achievement up to now. HALLOWEEN LOVE: And finally, do you feel that the vinyl resurgence will eventually die down, just as the format did when things like cassettes and CDs came around? Or do you think it’s here to stay? SEBASTIAAN PUTSEYS: I know it’s here to stay because it was always there. Since I was a kid I bought vinyl and now 36 years later it’s bigger than ever. Sure it will have ups and downs but it will always be part of our lives. Just like horror movies, trends come and go… but true fans will always be there to support it. Head over to One Way Static Records to browse through their catalog of past releases, a few editions of which are still available. While there, you can also pre-order the aforementioned Phantom of the Opera release, which is available on vinyl, CD and even cassette. Also be sure to “like” One Way Static Records on Facebook, to keep up to date with all future releases.